1. 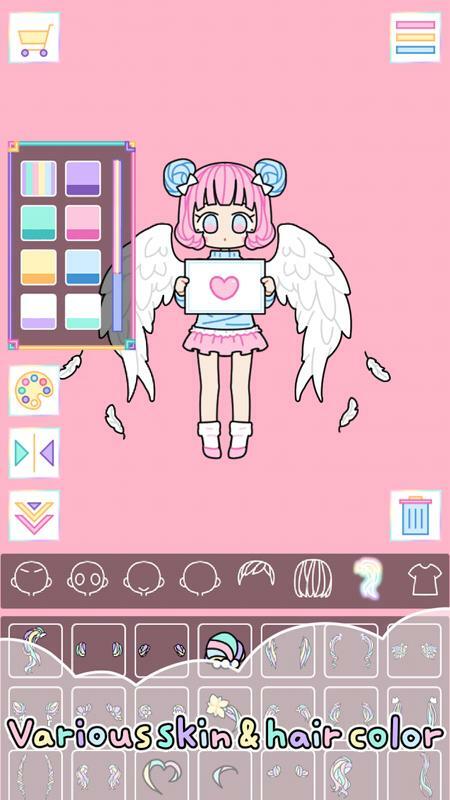 Pastel Girl is a healing game that decorates cute girl in pastel colors and backgrounds. 2. 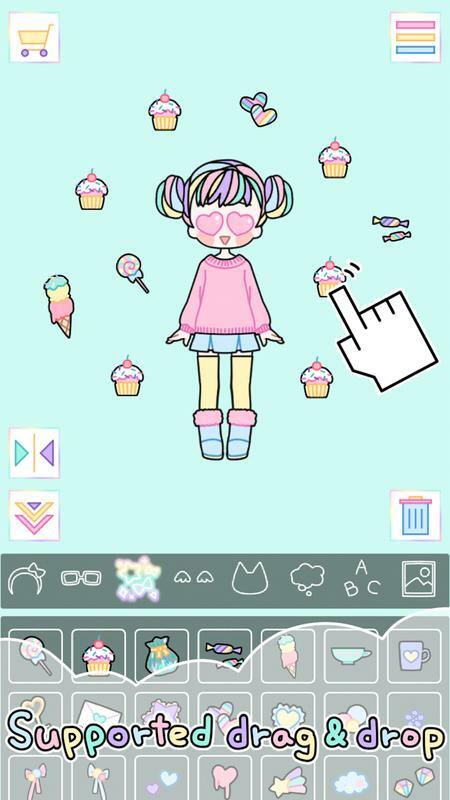 Drag and drop UI is provided that clothing and items can be placed freely. 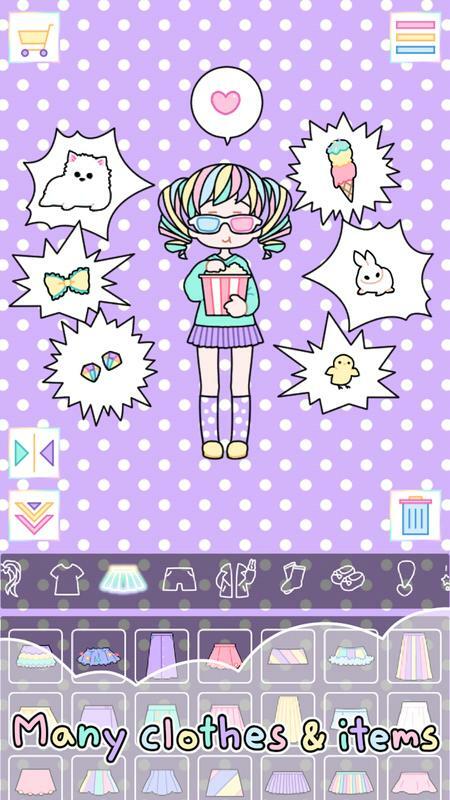 Delete functions using it is possible, making a big difference from the conventional dressing up game. 3. Some clothes and items provide great animation. 4. 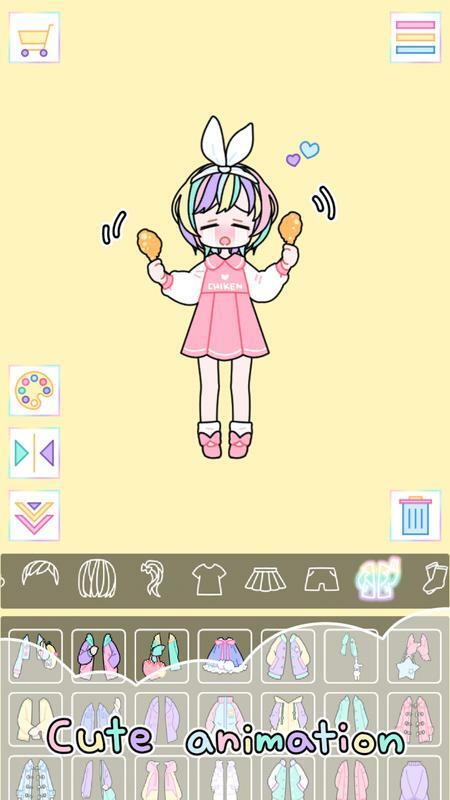 Decorate your cute girl using lots of clothes, items, speech bubbles and letters. 5. 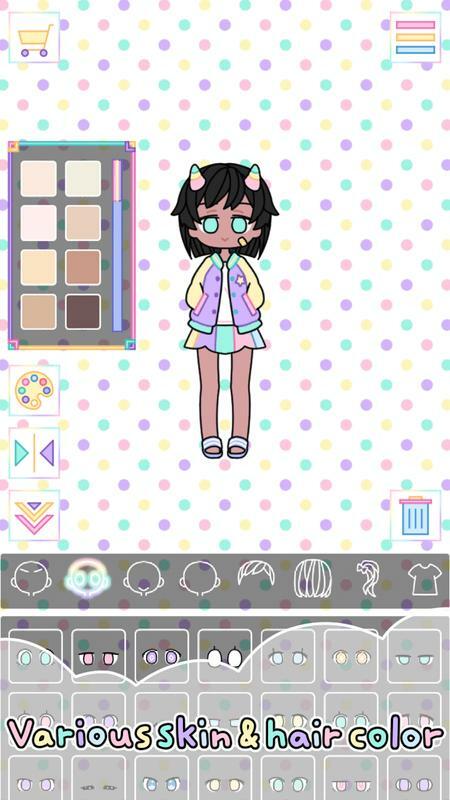 Share your decorated pretty girl with your friends. 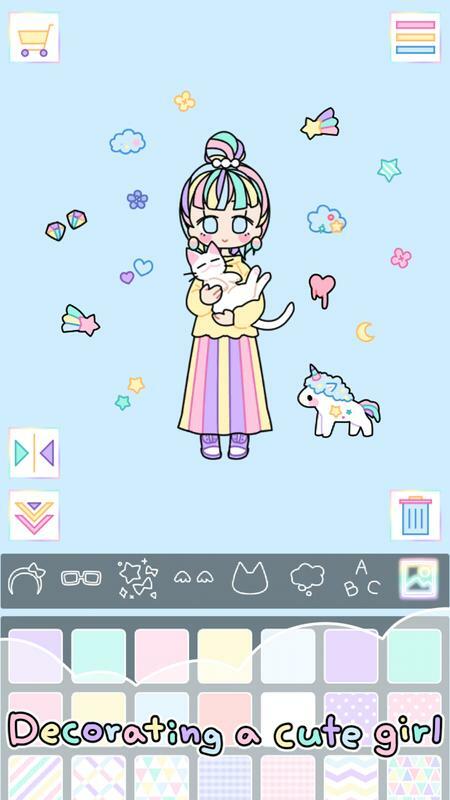 ※ Data is stored on the device in this game. The data stored will also be deleted at the time of game deletion. 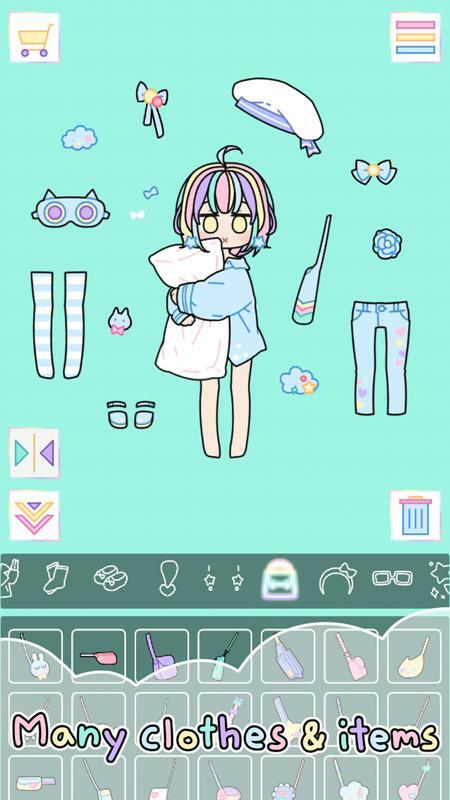 ※ All in-app purchase history are stored on the google server. 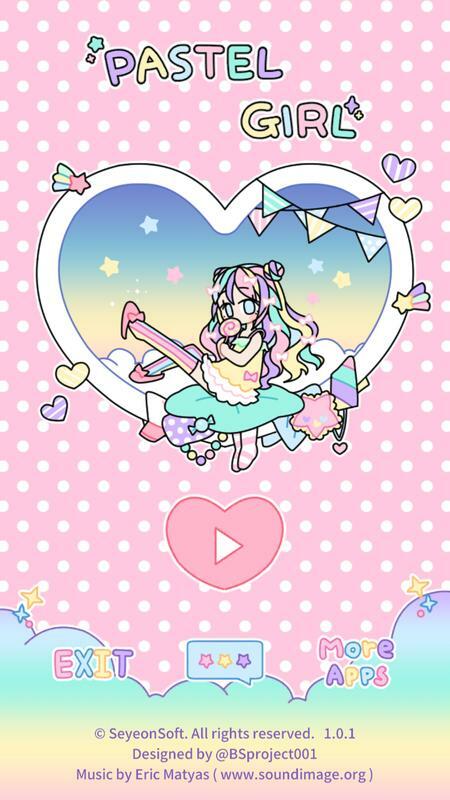 And If you reinstall the Pastel Girl, all in-app items you bought are added automatically. ※ Please see below items for help with installation issue or items not appearing after making payment. 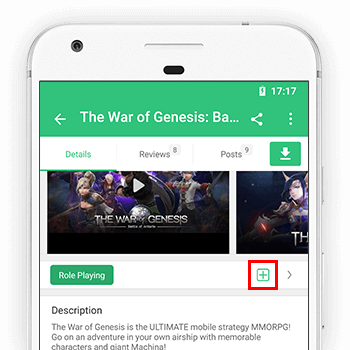 2) If the issue persists, uninstall the game and do the 1) again and install.